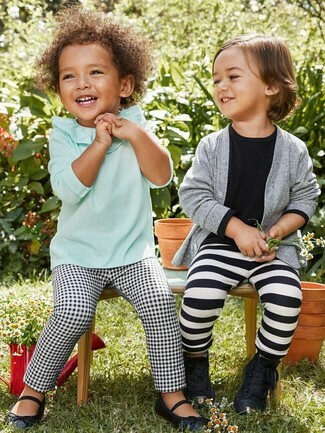 Suggest that your darling pair a mint long sleeve t-shirt with Nannette green check flower tunic leggings infant toddler girls for a fun day out at the playground. As for footwear your child will love navy ballet flats for this look. Go for a yellow jacket and Nannette green check flower tunic leggings infant toddler girls for your little fashionista for a comfy outfit. As for footwear your child will love yellow rain boots for this look.